Oh for the love of Liza I love me some lettuce wraps! 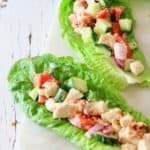 These Loaded BLT Lettuce Wraps hit EVERY MARK. 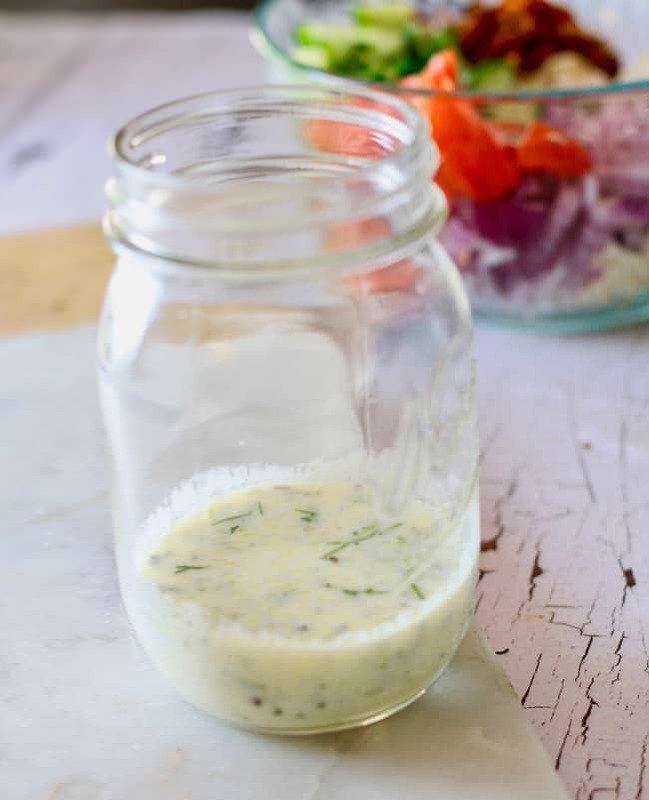 SUPER flavorful, loaded with veggies, healthy, and the homemade Yogurt Herb Dressing hits theeee spot! Loaded with veggies, and the PERFECT make ahead lunch! I’m all about easy with the heat we’ve been having in Seattle lately. 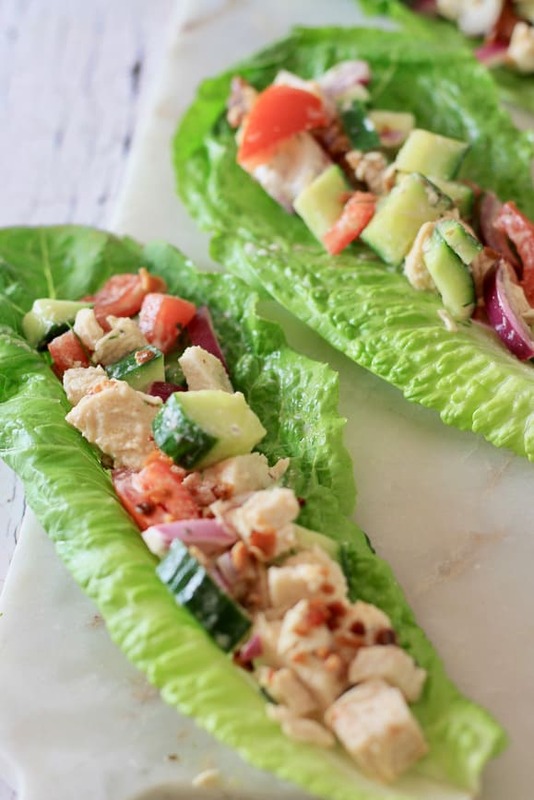 Now friends: I realized I called this BLT lettuce wraps, but it needed some protein. So..I baked a plain chicken breast with some olive oil, salt and pepper, let it cool, and added it in with my chopped veggies alongside some bacon (yes, double protein- I’m hungry, okay? Stop judging me!). You could easily add/subtract whatever sounds good- even adding some zucchini would be fab! Or cheddar cheese…But I’m trying to do more skinny dipping than chunky dunking lately 🙂 Oy vey dieting is it’s own hell…I digress. 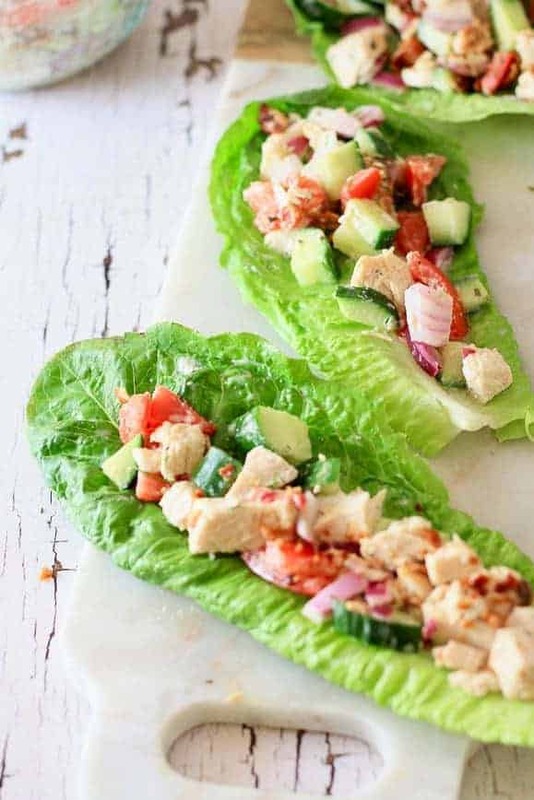 Start by adding your chopped BLT filling ingredients. Yummm! Next I made my dressing for my BLT Lettuce Wraps; I combined non fat greek yogurt, a smidgeon of olive oil, powdered garlic, fresh chopped dill, dried basil, rosemary, and some white vinegar. It’s almost like ranch, but way healthier! BLT + Lettuce + Homemade dressing? You had me at BLT. 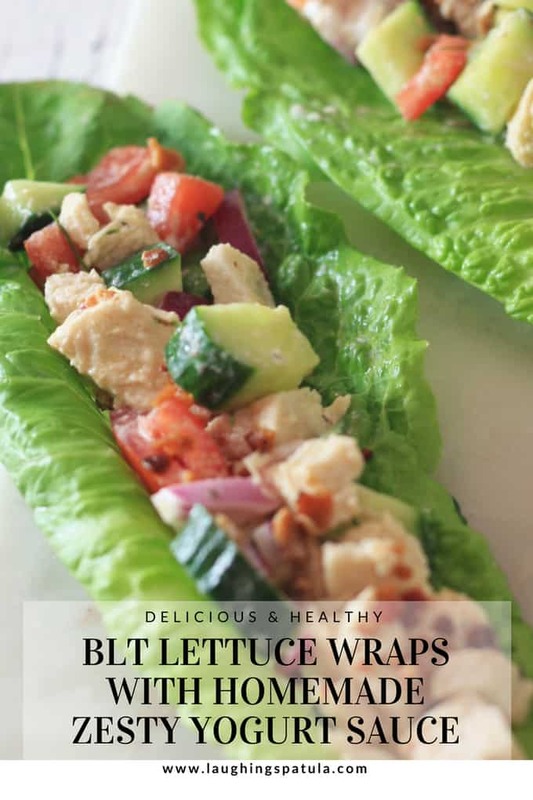 Easy to make, healthy, and the perfect portion for these BLT lettuce wraps! Pour the dressing over the BLT salad mixture, give it a stir, and scoop on top of fresh romaine lettuce. TIP: Careful not to overdress. If you are going to try to keep the lettuce wrap filing in the fridge for a few days, leave the dressing in the jar and put it in a small Tupperware container. Badda boom, badda bing- easy and not soggy! Hopefully I’ll be skinny dipping vs. chunky dunking by 2020 with the help of these lettuce wraps! 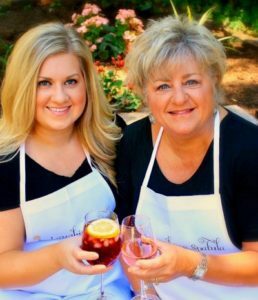 Here’s to healthy recipes! A delicious, and nutritious dish perfect for make ahead lunches, snacks, and dinners! 1.5 cups cooked cubed chicken Rotisserie chicken would be great! 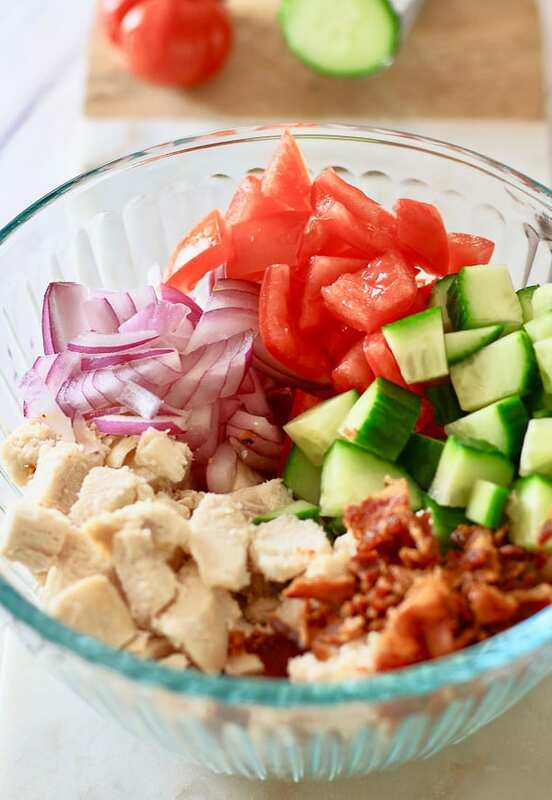 Combine ingredients for chopped salad in medium large size bowl. Be sure to remove any excess water from vegetables using paper towel to ensure freshness. Combine ingredients of dressing & mix well. Combine chopped salad and dressing. Scoop in .5 cup amounts to romain lettuce pieces & enjoy! Delicious topped with additional bacon, or shredded cheddar cheese.